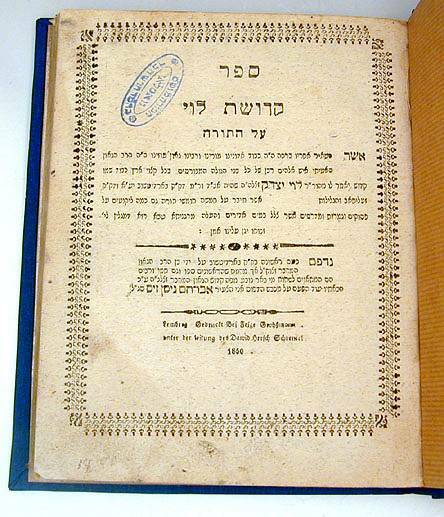 Rare Sefer Kdushat Levi Al Ha'Torah By Rabbi Levi Yitzchak from Berdichev, Lemberg, 1850. 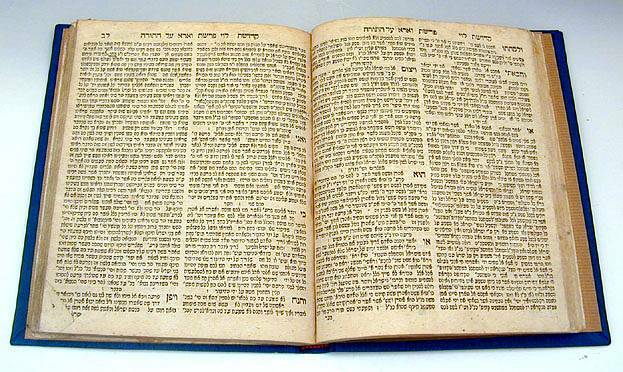 It was written by The Berdichever Rabbi (1740-1810) with his interpretation on the the Pentateuch. 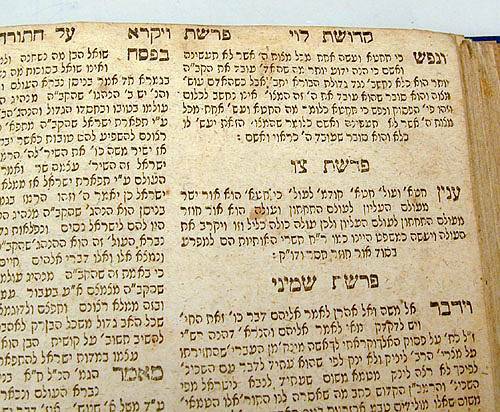 Printed in Hebrew Rashi script. Rabbi Levi Yitzchak had been a child prodigy, acclaimed in his early years as an illuy (genius). At the suggestion of his mentor, Rabbi Shmuel Shmelke of Nikolsburg, Levi Yitzchak traveled to Mezritch where he studied Chasidut under the Maggid of Mezritch for many years. He served as rabbi in the cities of Britchval, Zelichov, and Pinsk; and for the last 25 years of his life he was the Rabbi of Berdichev, which under his inspired leadership grew into a flourishing center of Chassidut. The Berdichever is one of the legendary figures of Chassidut, revered for his enthusiastic dedication to Torah and Mitzvot, but above all for his consuming love of God and his people. He became known as the defender of the people of Israel. He would argue with God, charging Him with being too stern a father to His children, pleading for an end to the long and cruel exile. 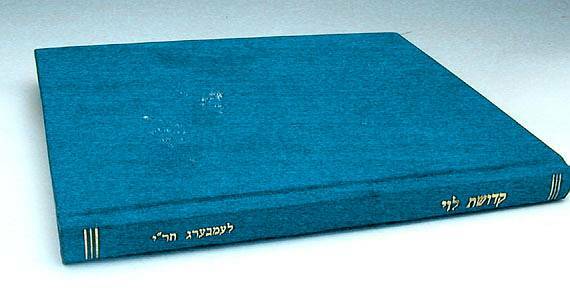 His work Kedushat Levi is a classic collection of chassidic thoughts arranged according to the weekly Torah portions; it includes a commentary on Avot, and an appendix containing a number of anecdotes that reflect his saintly life and his role as attorney for the defense of the Jewish people. Rabbi Levi Yitzchak is one of the most popular and beloved figures in Jewish history. Born into a prominent rabbinical family, he studied with the famed author of the "Pri Megadim," was himself a great scholar and served as rabbi of a number of Polish communities.